Don’t have a lawn? You can still welcome bees with a simple-to-build bee hotel! life a lot less bleak! One of our colleagues here at Nat Geo called this research a “Goldilocks” study. Why? Read the short Science article for some help. In this study, researchers tried three versions of lawn-mowing schedules before finding one that was “just right” to attract helpful bees. Why do researchers think the bees preferred lawns that were mowed every other week, instead of those that were mowed every week? Flowers! 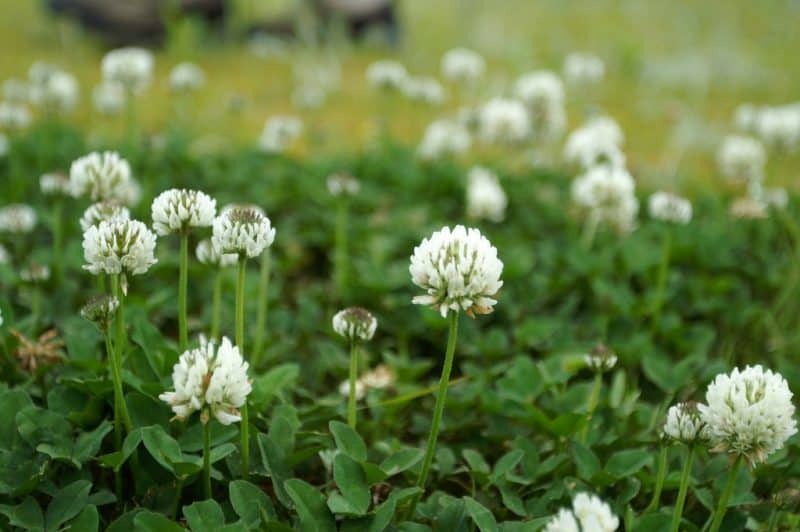 Between mowing, lawns sometimes bloom with “lawn flowers” like dandelions and clover. (Yes, lawn flowers may be more commonly known as “weeds.”) The two-week lawns had about 30% more lawn flowers than the one-week lawns. Why flowers? Plants and pollinators have a mutualistic relationship. Flowering plants rely on bees and other pollinators to transfer pollen from one plant to another. Bees rely on nectar and pollen for nutrition. The three-week lawns had even more flowers than the two-week lawns. Why do researchers think bees still found the two-week lawn “just right”? One week? Too few flowers. Three weeks? Grass too tall. Find two or more lawns of similar size, or two or three sections of the same lawn. Change the mowing schedule of the other lawn or lawns—mow more often or less often. Keep track of the number and type of lawn flowers that bloom between mowing days. If you have a smart phone, use an app like iNaturalist to help you identify your flowers. Monitor your lawns as often as you can, keeping track of the bees and other insects you find. Use tools like a net or an inexpensive aspirator to help trap and release insects. (We love this photo of a student using an aspirator to collect insects in Alaska!) If you have a smart phone, use an app like iNaturalist to help document the insects you find. What flowers seem to attract the most insects? What time of day seems to attract the most insects? 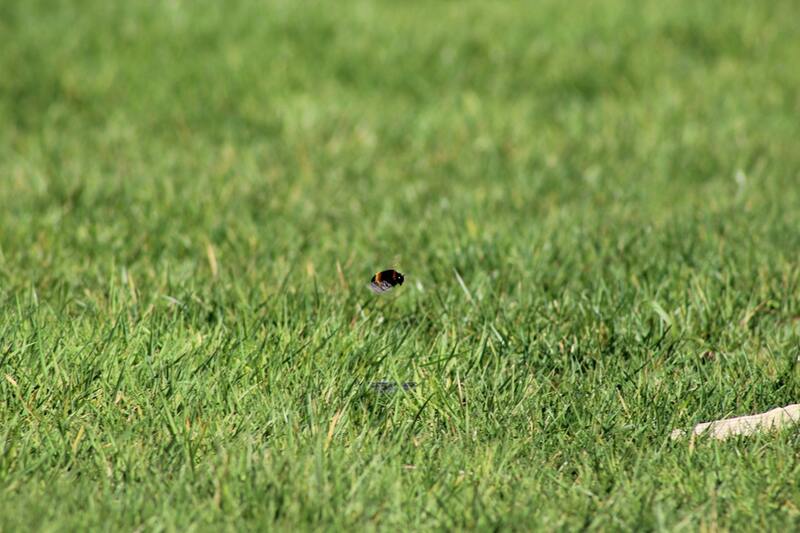 When were insects most active—days before mowing or after mowing? What lawn (or section of lawn) attracted the most insects?